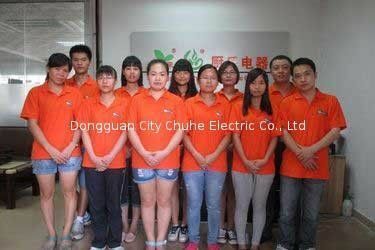 Dongguan City Chuhe Electric Co.,Ltd.,established in 2004, is one of the pioneer manufacturer of commercial induction cooker in China. We has our own R&D, manufacture and sale departments. 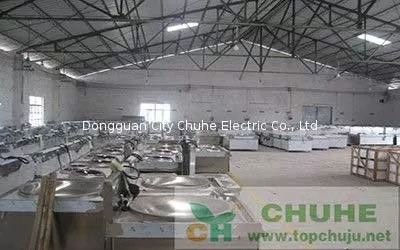 Many ranges of commercial kitchens have been designed in the past 11 years, such as induction griddle, induction fryer, induction range, induction cooker, induction steamer, etc. We have shipped the products to Europe/Asia/Oceania, such as Sweden, Russia, France, Italy, Singapore, etc. We keep on researching new items, and received greatful feedback because of the wonderful design, excellent quality and best service. OEM & ODM Service are available as well. 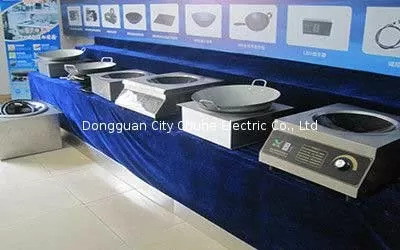 Dongguan City Chuhe Electric Co., Ltd., established in 2004, Always been committed to the research of electromagnetic induction technology, According to the Chinese and western diet characteristics, Developed many types of electromagnetic induction products, including Chinese kitchen utensils: electromagnetic induction stove, soup heater, noodles furnace, Western kitchenware: clay pot stove, desktop flat stove, Electromagnetic griddles, fryer, etc. 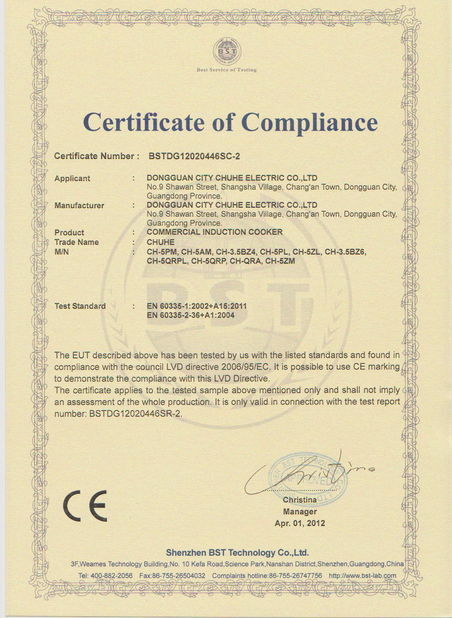 The products have passed the certification of CE, ROHS, FCC, etc. 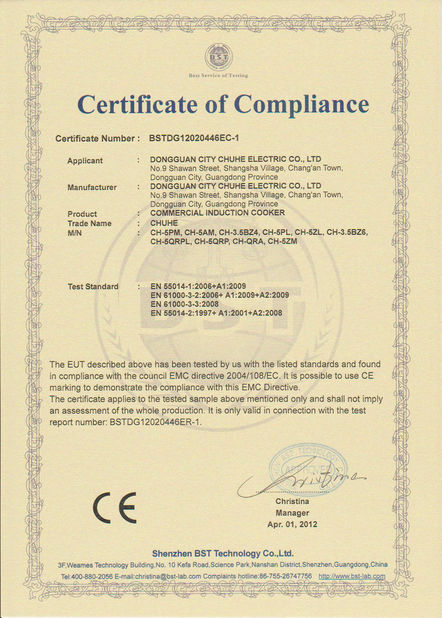 Exported to Canada, Europe, South America, Southeast Asia and other countries. 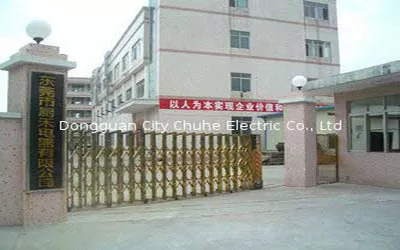 Chuhe Self-built property, covers an area of 25,000 square meters, business development talent is fundamental, Chuhe electric Co,Ltd has top management and professional , technical talented person, there are more than 300 staffs, more than 100 staffs are college education, this is Chuhe Electric's greatest wealth, Chuhe Electric strictly according with ISO9001: 2000 international quality standard system throughout the management, production processes, raw materials procurement, materials and finished products warehouse, logistics and so on according to the standard system strictly enforced. Our induction cooker power is 3500 watts, 30000 watts, and bigger, it's designed for commercial use. Using durable materials and parts, it can work steady and continuously to withstand the rigorous commercial kitchen environment. We focus on the products quality and service. 2).Glass ceramic plate which is breakable is not covered in gurantee. 3).The damage caused in transportation is not covered in gurantee. 4).The damage caused by improper maintenance, improper use & altered or repaired shall void the gurantee. Our company have R&D department, international trade department, domestic trade department, Production department, Quality control, etc.